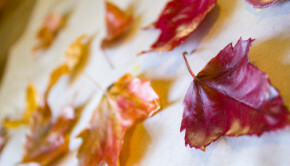 Transform an old, hoaky wreath into a sweet upcycled fall wreath using materials from your stash and your recycle bin! If you don’t have an old Christmas or fall wreath stashed away, you can easily find one that needs a little love. 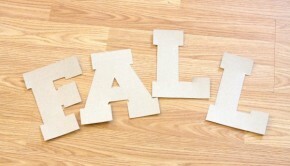 Hit the thrift or scour some yard sales this weekend. I bet that you’ll even have more than one old wreath to choose from. 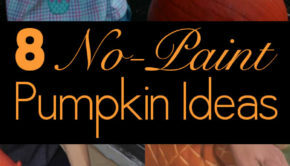 Related: 9 Jack-O-Lantern Carving Tutorials that YOU Can Do! Bonnie Getchell shared this great tutorial for how to make a fall wreath over at our sister site Feelgood Style. All that you need to make your own are that old wreath a few basic supplies. 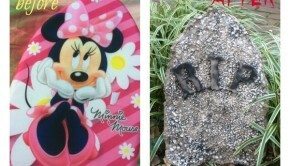 + An old wreath to redo. 1. 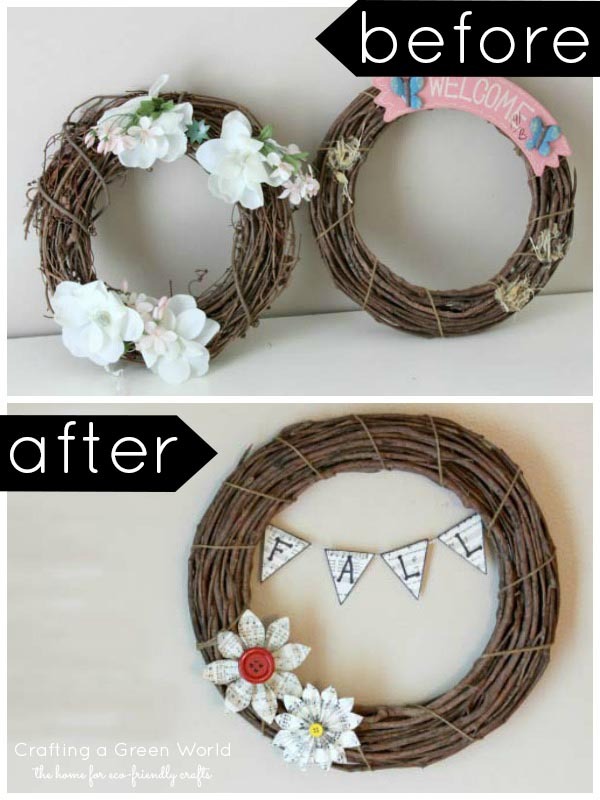 Remove all of the lovely items on your old wreath. Mine had a lot of glue left on the front, so I simply flipped the wreath over to the back. It was the perfect base for my new wreath. 2. Make the paper flowers by following the instructions on this Recycled Paper Mother’s Day Brooch tutorial– just don’t add a brooch pin to the back of the flower. 3. 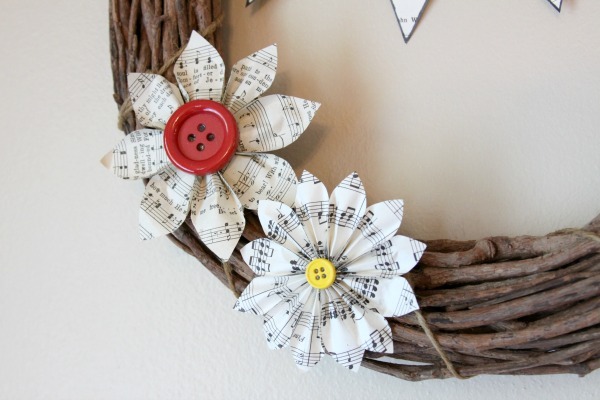 Then, hot glue the flowers to your wreath. 4. 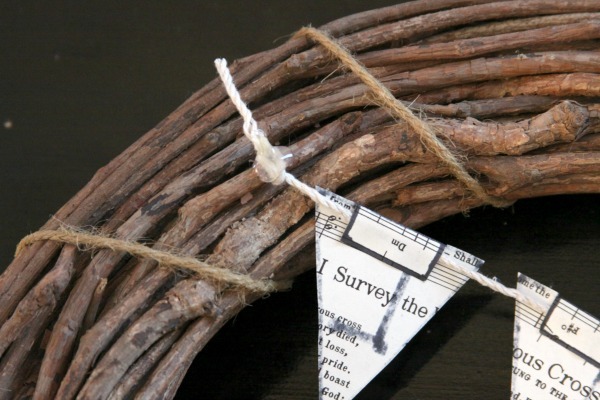 To create the mini pennant banner, cut a piece of twine the length of your wreath. 6. 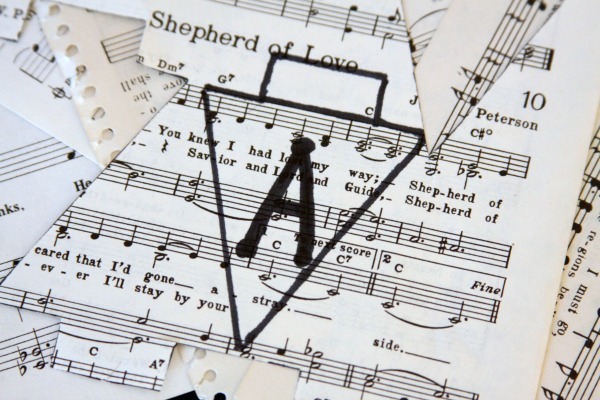 With a permanent marker, write each letter of “fall” on the triangles. 8. 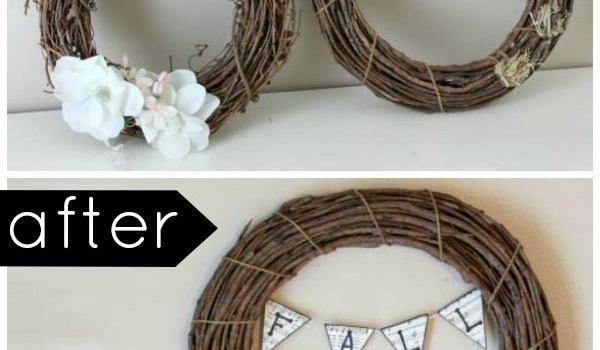 Tie or hot glue the banner to your wreath.